Single part or collated multipart sets for use on your laser or inkjet printer. 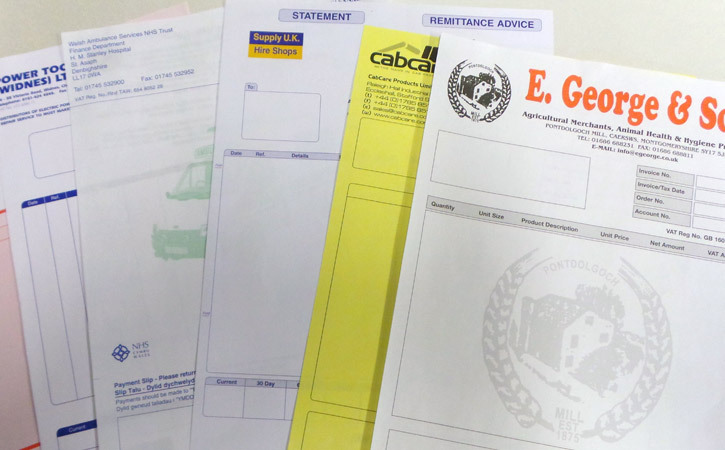 Many different applications are now used on these printers including invoices, statements, despatch notes, acknowledgements, letters and many more. If you require multipart collated sets in different colours in either Bond or NCR, we can cater for this too.